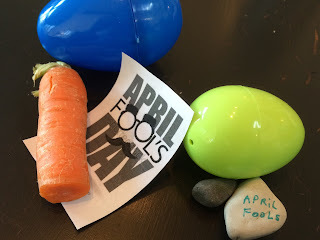 I couldn't resist a couple prank eggs this morning! But don't feel too sorry for my kids, they got lots of nice eggs, too! Plus a whole basket full of goodies.